Sheena thought it would be fun to do a weekly round-up of what was going on at the Women and Words blogsite. So my co-admin of the site, Jove Belle, and I do it. 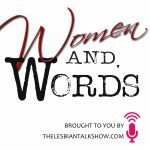 We review the week at WaW but also talk about other things going on in the lesfic world and things we think listeners would be interested in, like conferences and events and the like. 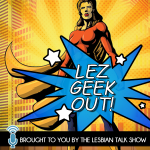 A weekly digest of lesfic news and views as told by your weird neighbors down the street who are kind of fun and always welcome everybody to the party. 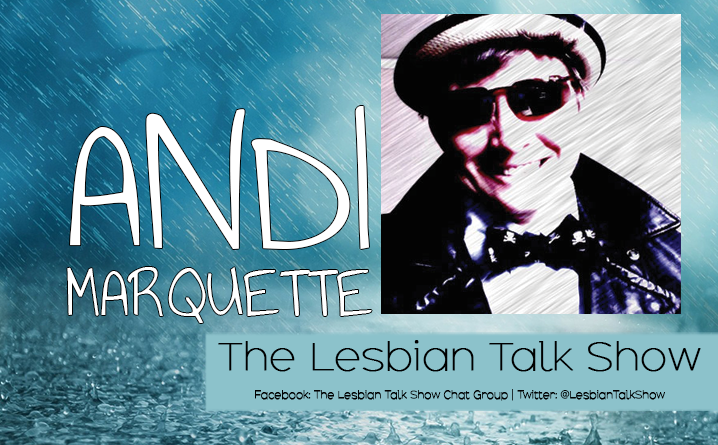 Readers and writers interested in lesbian fiction, lesfic publishing, strong women, and assessments of Andi’s hair and Jove’s day trips. I get to talk to my co-host, with whom I’ve been friends for about a decade, and I get to talk about things I’m passionate about: writing, reading, LGBTQI issues and events, strong women in fiction and beyond, community-building. Working around the crazy schedules we have in order to record. And yeah, tech problems can present themselves. There are many things I don’t tell people. But here are a few things: Music is very important to me. I play piano and drums, though I’m way rusty now. I was also a radio DJ and did a stint as a club DJ, too. I’ve also worked as an archaeologist. Oh, and for extra “omg Andi’s way weird,” I grew up on a farm in the Rocky Mountain West where we raised goats.